Its true character can be maximize if trained by a remote dog trainer. American Staffordshire Terriers are gentle and good-natured towards people. They are happy, social, and excellent with children. The breed makes a great companion, as they are affectionate and protective over their families and owners. They constantly aim to please, and are highly obedient. American Staffordshire Terriers are natural guard dogs, and they are highly intelligent and courageous. Selective breeding has produced American Staffordshire Terriers that are trustworthy, stable, and especially good dogs with children. It’s important for owners to properly socialize this breed to prevent the onset of aggressive behavior. When sufficiently obedience trained, American Staffordshire Terriers will get along well with other animals and dogs. This breed requires an owner that is active, understanding, and patient. The American Staffordshire Terrier is a strong and powerful dog for its size. 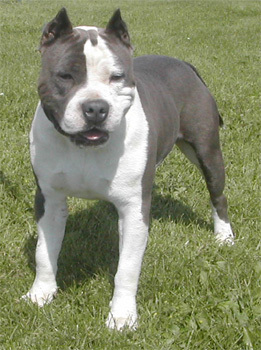 The breed has a stocky, muscular body that is agile and athletic. Their broad head features a short muzzle and a commanding set of jaws. Their erect ears are typically cropped. American Staffordshire Terriers have round black eyes, a tail that tapers to a point, and teeth that close in a scissors bite. The coat of this breed is thick, glossy, and short, and it exists in a variety of colors. The breed is classified by AKC as the “American Staffordshire Terrier”, and is referred to as the “American Pit Bull Terrier” by the UKC. Generally, American Staffordshire Terriers have larger heads and are heavier than American Pit Bull Terriers. Small or big dog houses are perfect for this little pet. The Petit Basset Griffon Vendeen (right, Ch Jamars Saffi of Monkhams) is generally abbreviated to PBGV and in the short time he has been in the UK - only since 1969 - he has made a lot of friends. One of the short-legged Basset breeds, bas being French for low, he is a busy little dog with his nose firmly fixed to the ground in search of a scent. Created in the Vendee region of Western France he is notably smaller than his cousin the Grand Basset Griffon Vendeen. In height he ranges from 33 - 38cm and weighs between 31 - 40lbs. 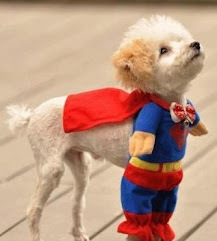 He is a solid little dog, but very well-balanced and sound and can keep going for as long as is required. The coat is rough and harsh to the touch with a thick undercoat; the show Petit Basset Griffon Vendeen should never be trimmed. The coat needs a weekly brush through with a slicker brush and a comb around the beard to remove accumulated debris. The base colour of the coat is white with any combination of lemon, orange, tricolour or grizzle markings. 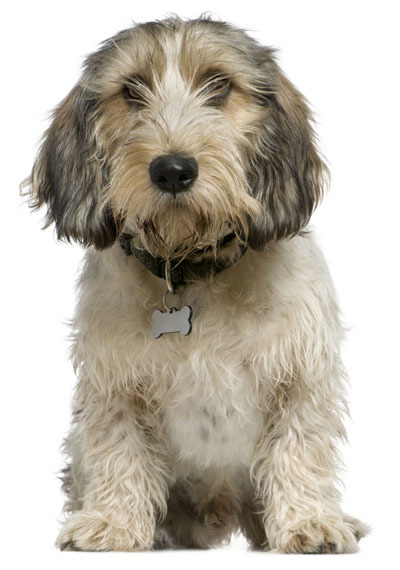 His long eyebrows give him a comical expression and this is certainly part of his character; the Petit Basset Griffon Vendeen is a happy, extrovert hound who fits in extremely well with a busy young family. In the nicest possible sense he conveys the impression of being a bit of a scruff; quite lacking in vanity he has no problem scuffling through the autumn leaves and bringing a selection back into the house. The Petit Basset Griffon Vendeen has something of a tendency to be vocal, but as long as that is discouraged there is little to find fault with in this happy little dog. This family dog will surely love to play over a dog furniture. The English Cocker Spaniel is an eager, playful, and cheerful dog with plenty of affection to give and a responsive and gentle nature. This is a sociable breed, and loves to be around his loved ones. Sweet and enthusiastic, the English Cocker Spaniel makes for a great family pet, but it is worth noting that some can be overly dependant on their owners to the point where they become clingy, so it is important to teach your English Cocker Spaniel to be independent. These sensitive dogs can sometimes be overly timid and submissive, so early socialization and training is important. The English Cocker Spaniel is an eager to please dog and a quick learner, and this makes training easy. However, housebreaking can sometime be a problem and some English Cocker Spaniels can be chronic barkers. When it comes to children these dogs are generally very good, and they are also very friendly with strangers in most instances. The English Cocker Spaniel will get along well with other pets too, making this breed ideal for families with other pets. Some English Cocker Spaniels can have a willful nature and this can result in possessiveness when it comes to things like his toys.